For more than six years, BIEGLO has been importing PEEK raw materials from China. Last year, the company doubled their sales of PEEK once again. BIEGLO has various warehouses in Germany to supply customers quickly. They hold buffer-stocks of CoPEEK and selected PEEK semi-finished products made-in- Germany. constantly improved quality of products and services. As most likely Europe's largest PEEK-distributor, BIEGLO continuously expands the portfolio of high-performance polymers. There is a wide range of functional and PEEK color compounds. Last but not least BIEGLO offers PEEK semi-finished products. 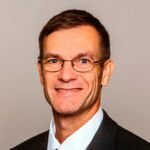 The management of BIEGLO GmbH commented "In times when people in the Anglo-Saxon area sail into the storm of planning-uncertainty, the business with Asian partners is gaining momentum through tailwind." They expect sales to boost again in 2019. The BIEGLO GmbH is a distribution company for high-performance polymers from Hamburg. They built up several online shops, e.g. PEEK-Shop.de, Polyimid-shop.de, PAI-Shop.de, und PEI-Shop.de successfully. In April they will exhibit at Hannover Fair: Hall 4 Booth G01. 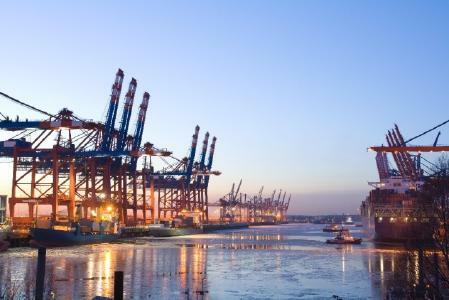 BIEGLO is a distribution company for high-performance plastics from Hamburg. We are the exclusive distributor of polyetheretherketone (PEEK) CoPEEK from Panjin Zhongrun and also distribute Saint-Gobain's polyimide (PI) Meldin®. In addition, polyamide-imide (PAI) and polyetherimide (PEI) are also part of our range. Internationality is important to BIEGLO. We find many customers abroad and meanwhile we can also rely on an international network of suppliers in order to be able to supply popular products. In addition, the web shops PEEK-shop.de, PI-shop.de, PAI-shop.de and PEI-shop.de belong to BIEGLO. Our CoPEEK comes from Panjin Zhongrun from China. We can offer it as granules or powders in different viscosities. 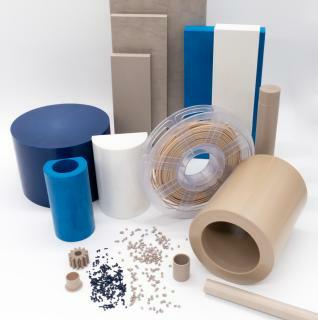 But also PEEK semi-finished products such as plates, tubes, rods, filaments and foils are in our product range. Other semi-finished products such as shrink tubing, compressor valve plates and fittings can also be supplied. PEEK has a continuous service temperature of 240 ° C and very good chemical resistance. In addition, PEEK is self-lubricating. Meldin®s PI comes from Saint Gobain and is made in the USA. We can supply Meldin® semi-finished products in the form of plates and bars, as well as Direct-Formed parts. The continuous service temperature is 315 ° C. In addition, we can offer thermoplastic PI powder and PI filaments and fibers from China. Here, the continuous service temperature is 260 ° C.
PAI has a glass transition temperature of 277 ° C and can also be used in freezing temperatures of up to -270 ° C. PAI offers incomparable mechanical strength and is more impact-resistant than other polymers even at very low temperatures. At the moment BIEGLO can offer extruded PAI rods with a diameter up to 250mm and different plates. PAI semi-finished products are also available in reinforced grades. 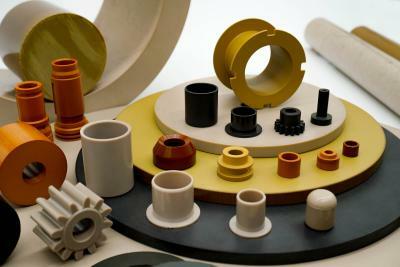 Among the high performance polymers PEI belongs to the cheaper thermoplastics. PEI is an amorphous plastic with a glass transition temperature of 217 ° C and a high dielectric strength. In addition, PEI semi-finished products offer inherent fire resistance and a very low smoke development rate. BIEGLO can offer solid rods with a diameter of 5mm to 100mm and plates with a thickness of 3mm to 100mm. "BIEGLO is a distribution company for high-performance plastics from Hamburg.We are the exclusive distributor of polyetheretherketone (PEEK) CoPEEK from Panjin Zhongrun and also sell Saint-Gobain's polyimide (PI) Meldin®, which also includes polyamide-imide (PAI) and polyetherimide (PEI We also recycle and clean and sort PEEK waste. Sustainability is an important part of BIEGLO. Since PEEK is easy to recycle, we are interested in processing waste. We gladly buy back clean, dry and pure waste.